You’re an established photographer with paying clients, but you know that there’s more to photography than just it’s commercial side? Are you afraid you must be losing your original creative spark that brought you to photography in the first place? Do you want to add a special twist to your personal style but don’t know how? Do you want your images to stand out and make people pause when they are scrolling their news feeds? What about building an audience of cheerleading followers? If you said “yes” to at least two of those questions, this workshop is for you! For you, who doesn’t want to be just a commodity. You, who wants to take your photography to a new level. You, who understands the importance of being different in today’s world of zillions of images produced every day. Photographers who are not yet very comfortable with shooting manual mode of their camera and editing images in post-processing software. If you feel, it might be you, we recommend you check out the Introduction to Creative Photography Workshop. - Practical knowledge part: (4 hours with 2 brakes) when we discuss everything connected with personal artistic style, inspiration, generating ideas, practical tips on making photos more eye-catching. 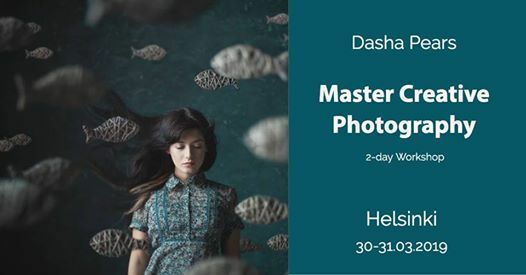 - Shooting part (3 hours) Dasha shoots two surreal scenes and tells everything about her process. Then each participant gets a chance to work with the models on his/her own. 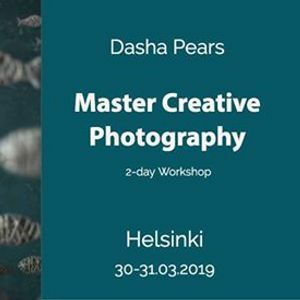 - Post-processing in Lightroom and Photoshop (3 hours with 1 break): Dasha walks you through the editing process of the photos shot during the previous day and shares all her secrets of working in Lightroom and Photoshop. - Finding your tribe and selling your art: We discuss building your personal brand, gaining a following on social media and the commercial side of the fine art and conceptual photography. If you already participated in my events, you get a 15% discount. Tea, coffee and light snacks are included!